The idea of a new entry in the Rocky franchise following the son of Apollo Creed didn’t sound like a smart idea on paper. It had all the makings of a cash grab seeking to capitalize on nostalgia for the days of the Italian Stallion. And then Creed came out, and arguably was one of the best films of 2015. 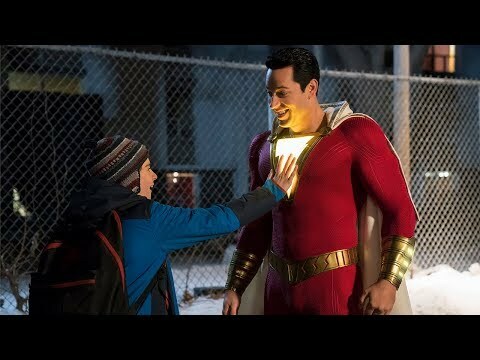 Now the gang is back, sans the brilliant director, for a sequel that succeeds despite falling back into franchise formula. In 1985, Russian boxer Ivan Drago (Dolph Lundgren) killed former U.S. champion Apollo Creed in a tragic match that stunned the world. Against the wishes of trainer Rocky Balboa (Sylvester Stallone), Apollo’s son Adonis Johnson (Michael B. Jordan) accepts a challenge from Drago’s son (Florian Munteanu) — another dangerous fighter. Under guidance from Rocky, Adonis trains for the showdown of his life -- a date with destiny that soon becomes his obsession. Now, Johnson and Balboa must confront their shared legacy as the past comes back to haunt each man. 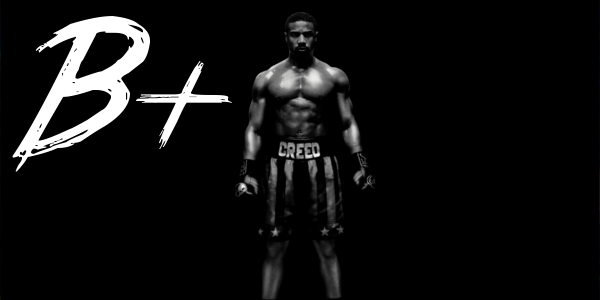 A sequel that goes in exactly the direction you’d expect is a Rocky franchise staple at this point, and Creed II is no different. And delving into the tragic connection of Drago and Creed is an interesting avenue to take, even if nothing shocking occurs as a result of the franchise formula. However, the tone shift that came along with Creed in 2015 remains and elevates this sequel beyond its cliché beats, making the themes of legacy hit even harder. The loss of Ryan Coogler in the director’s chair is evident, even if newcomer Steven Caple Jr. is capable enough. The fight scenes lack the same ferocity and intensity that Coogler brought to them, and so loses some of the excitement and energy the franchise gained in 2015. But the strength of the characters and their relationships remain at the core, making Creed II a successful sequel despite playing it safe. The filmmakers behind this new chapter in the Rocky franchise made the best decision possible when casting the lead. Michael B. Jordan continues to prove why he is one of the most exciting actors in Hollywood, with effortless charisma and an intensity that few could match. Jordan is backed by the same support from before, with Sylvester Stallone and Tessa Thompson both as good as ever. Stallone with his philosophical mumblings and knack for motivation, and Thompson as an emotional support as Adonis Creed continues his climb to the top. The cast remains exceptional, and immediately draws excitement for however they choose to continue this story. Creed II was never going to be quite as great as the first, but it gets the job done nicely. The cast delivers on all fronts, with Michael B. Jordan continually improving and showcasing his talents for the world. The emotional pulls of seeing Drago vs Creed once more is an easy target for fans of the franchise, and the film knows it and executes it fairly well. How this franchise continues beyond this is a mystery, but I can say I hope beyond hope that it does.